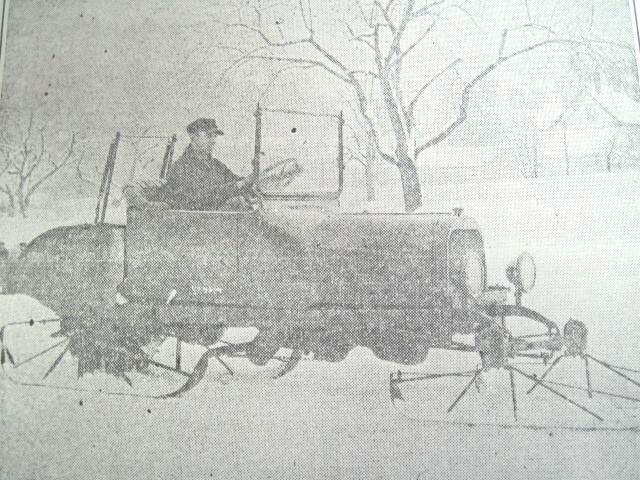 Lester E. Cobb at the wheel of his motor sleigh. 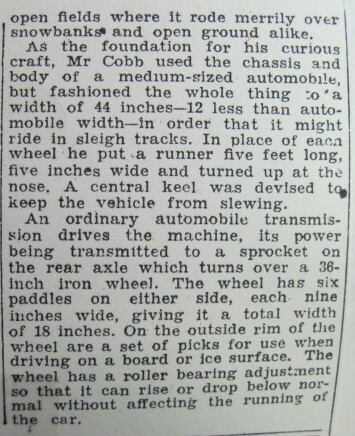 This newspaper article from the files of the historical society is undated, but based on the style of car, it might be from the late teens to the mid-twenties of the last century. 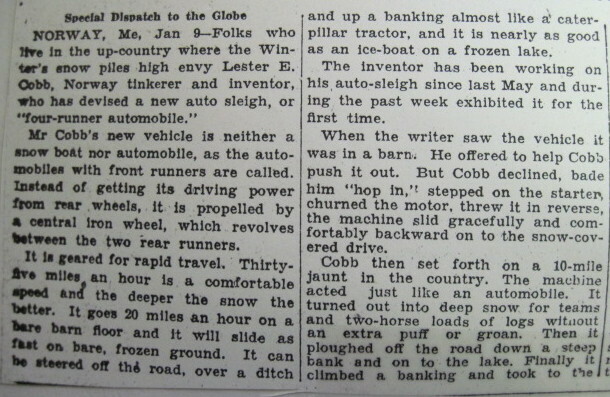 The author is not known, but the article appears to be from the Boston Globe.